Olive trees were introduced in Abruzzo during the V century a. C., its cultivation and the production of olive oil have been developed by the Romans, as confirmed by various archaeological and historical evidences. 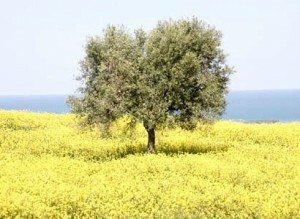 Nowadays in Abruzzo there are over 40.000 hectares of hilly land with olive trees. During the centuries the knowledge related to the cultivation of olive trees has been refined and several varieties have been classified and selected: Leccino present all over the Abruzzo territory, Dritta characteristic of Vestine district, Toccolana typical of Tocco da Casauria, Gentile present in the area of Chieti province as well as the Intosso, used to be eaten instead than pressed. Other varieties characteristic of the Chieti area are Nebbio and Cucco, while in the area of Teramo are more present varieties like Tortiglione, Castiglionese, Carboncella. L’Aquila province is less important in terms of production except for the areas of Navelli, Peligna valley and Roveto valley, where Monicella is the main cultivar. 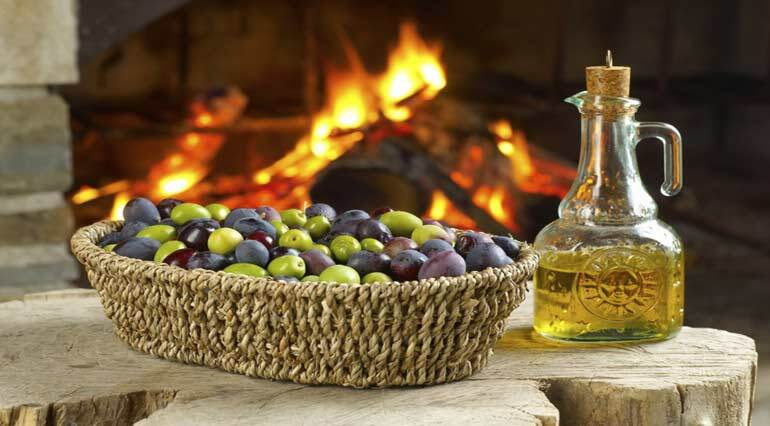 In Abruzzo there are 9 millions plants of olive trees, producing an average of 1 million and 200.000 quintals of olives, from which are obtained almost 200.000 quintals of olive oil.For this reasons Abruzzo is considered one of the major producers of olive oil. In Abruzzo olive oil is still produced in a traditional way in small oil mill, for this reason Abruzzo has been granted from European Union of three D.O.P. 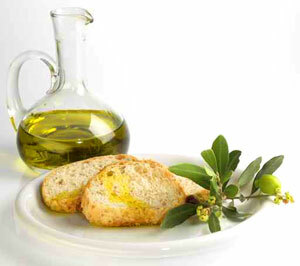 (Denominazione di Origine Protetta) for its extra virgin olive oils. D.O.P. represent a an important quality certification for buyers from all over the world. D.O.P. 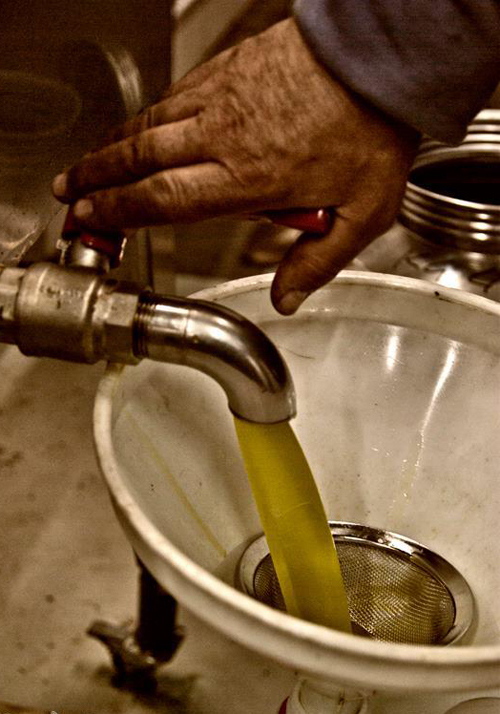 sets all the rules for production zones, varieties of olives used, method of cultivation, implant systems, maximum production, period of harvesting, transportation and pressing out methods, chemical, physical and organoleptic characteristics of the oil produced. Only through a strict adherence to these rules is possible to obtain a high level extra virgin olive worth to obtain a D.O.P. nomination. Nowadays in Abruzzo there are three recognised D.O.P. : “aprutino-pescarese” Pescara province, “colline teatine” area of Chieti, “pretuziano delle colline teramane” Teramo province. This D.O.P. relates to Pescara province and goes from the area called Vestina in Loreto Aprutino, Moscufo and Pianella to the area of Tocco da Casuaria towards Popoli and Morrone. This D.O.P. is given only to the extra virgins composed for the 80% by the varieties Dritta, Leccino, Toccolana, cultivated in a certified olive groves. 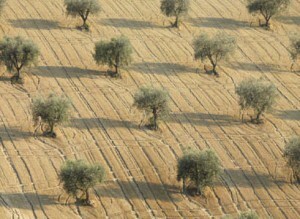 The remaining 20% can come from different varieties, but always cultivated in the same olive groves. “Aprutino pescarese” has been given the D.O.P. nomination according to the regional law CE 1263 del 02.7.96, and is protected by a specific organisation called Consorzio di Tutela, to which adhere 72 producers. All the related controls are carried out by CCIAA of Pescara. D.O.P. “colline teatine” embraces the area of Chieti province, from Francavilla al Mare to San Salvo, including also some inland territories like Pretoro, Casoli, Lama dei Peligni. Extra virgin olive oils belonging to this D.O.P. have to be produced for the 50% by the variety Gentile cultivated in a certified olive groves and for the 40% by the variety Leccino. 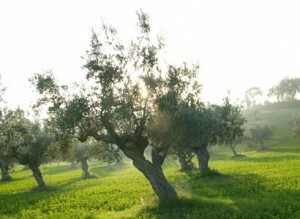 The remaining can come from other varieties, but always cultivated in the same olive groves. The D.O.P. “colline teatine” includes also two areas called Frentano and Vastese. The D.O.P. “colline teatine” has been recognised by the law UE 2325 del 24.1 1.97, and protected by Consorzio di Tutela which includes all the olive growing associations of Chieti province (APOA, APOAM, APOC CNO, LAPOAM and LARO). All the related controls are carried out by CCIAA of Chieti. The D.O.P. “pretuziano delle colline teramane” is related to Teramo province. Extra virgin olive oils belonging to this D.O.P. have to be produced for the 75% by Leccino, Frantoio and Dritta cultivated in a certified olive groves, and for the 25% by other varieties like Tortiglione, Carboncella and Castiglionese, but always cultivated in the same olive groves. 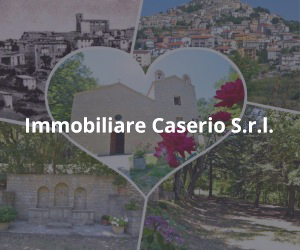 “Pretuziano delle Colline Teramane” has been recognised by the law Reg. 1491 del 25.8.03, is protected by The Consorzio di Tutela and promoted by Unaprol together with Coldiretti and Unione Provinciale Agricoltori. All the related controls are carried out by CCIAA of Teramo.